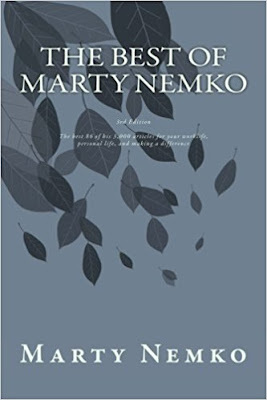 The 3rd edition of The Best of Marty Nemko is now available both in print and on Kindle. It contains what I believe are my best 86 of my 3,400 published articles. They're from TIME, The Atlantic, Washington Post, and from among my 1,400 Psychology Today articles. Topics are: career, personal life, men's issues, and making a difference.